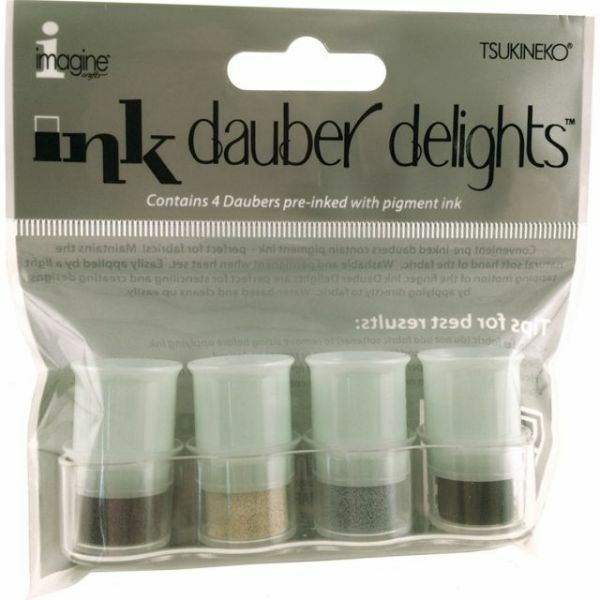 Inked Dauber Delights - TSUKINEKO-Inked Dauber Delights. 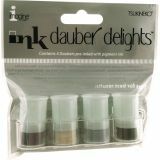 These pre-inked daubers contain pigment ink and perfect for fabrics and stenciling. They have a convenient finger-tip design and are easily applied with a light tapping motion. Available in a variety of colors, the ink is both washable and permanent when heat set. Each package contains four ink daubers. Conforms to ASTM D4236. Imported.